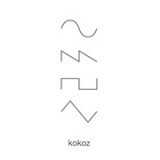 kokoz is an electronica live-unit deals with tribal, electronica, techno, noise, dub and all genre-music to create their own deep emotional and organic audio languages. They create sound design and installation by improvisations and using many different music instruments from traditional and tribal ones to electronic devices and so on. As kokoz expresses many different kaleidoscopic sounds to enchant audience with their breathing sounds and dynamic downbeats. They are a regular resident unit in "Space Ambient gathering", "beep", in Hakata(Sapporo Japan) and participate in many local lives and events. kokoz has distributed "ohm", "poco muted" from UNKNOWN season on the internet. Their works have been remixed by Kenichiro Nishihara and other prominent musicians released in CDs . In Summer 2014, "ohm" is now available in vinyl, and very deep and emotional track "to-rera" recorded in live also will be release too. kokoz are Ko Matsukuma and Kousuke Sato. They live and work in Hokkaido in Japan.